Antonio Vargas plays an angel-like character who changes the life of a type-A father in Silver Bells. He talked to me about how he broke into show business and singing in the airport with his co-star and fellow 70’s television icon Bruce Boxleitner. He’s best known for playing the street-smart Huggy Bear in “Starsky and Hutch.” The movie premieres tomorrow, December 1 on UP TV, at 7pm, 9pm and 11pm ET. I play Major Melvin Lowell of the Salvation Army and he’s a little bit like the ghosts in “A Christmas Carol” or the angel in “It’s a Wonderful Life” because he takes this other character, Bruce Dalt, on a journey, and he comes out on the other side with an appreciation of giving through humility and giving the new eyes to see the benefits and the spirit of Christmas. He’s very much the connector, like Huggy Bear was that connected between Starsky and Hutch. Major Lowell is connector between Bruce’s old life like Scrooge and the spiritual sense of purpose. It was a fun role to play. Bruce said the two of you really bonded and had a great time on the set. Yes, we did between having dinner or traveling together to and from the set. It all started when we arrived together in an airport together in the blizzard. And we sang and spent the time, I think it was almost two hours, to get to our location and that was the beginning. 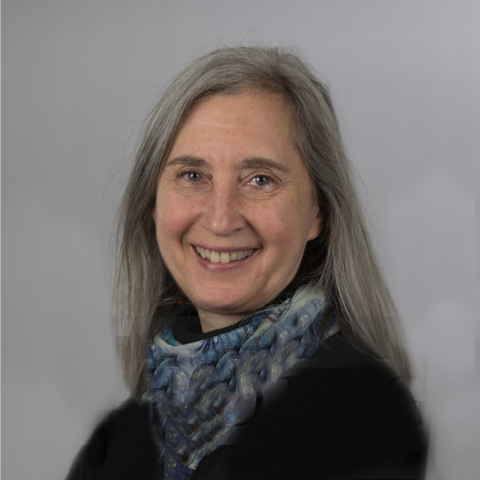 And then every day, it’s sharing the same dressing room and just about the work, being a seasoned veteran that he is, and for me after 40 years to be working with him and leading these young actors, and accepting responsibility. It’s a very important message for families, isn’t it? Why is it people lose sight of what’s important in the holidays and get caught up in the external craziness? It’s a lot of social peer pressure and, again, losing sight of what the essence of Christmas is about. And for somebody like Bruce Dalt to be one of those — I’ve been around football dads and soccer dads with so much vested that they lose sight of what it’s about. It’s about the young person having an opportunity. Bruce is so driven in his own self that he fails to see how he’s missing the point. And that’s what happened at Christmas. The commercializing of it and the pressures that puts on people to have instead of knowing that it’s about what we give. People have a tough time getting through that and it just reminds you that the meek shall inherit the Earth so I really get it when people go down and go to a soup kitchen and try to get some of the commercialism out of Christmas. How did your family celebrate Christmas when you were growing up? Well I come from meager means in New York but there was still a sense of innocence. If we got one thing, it was great. My dad was at the Department of Sanitation. He was a garbage man. He picked up trash around New York. It was dignity. And I was one of eleven children so we knew about hand-me-downs. And government milk, and I always said, “When I grow up, I’m going to have butter because we always had this margarine.” I grew up in the projects in New York where there was a sense of family, where people looked out for each other and someone could admonish someone else’s kids if they were wrong and we had to respect your elders. What was the first acting job that you got paid for? The first thing I ever did was a movie called “A Cool World” with my mother’s urging at 14, I tried out in this film about gangs sort of like West Side Story but this was set in Harlem. And I remember I made $20 a day and first check number was 127. I think I made $60. Three days and I loved it. Here I was going to the movies, RKO in New York, and I would see Cary Grant, John Wayne, and all these people up on the screen. And to think that I was going to be up on that screen like that, it created such a hunger in me that I could get out of self and I found a family of artists that felt different like I felt. These feelings and an opportunity to express them, it was such a liberating experience and because the times, coming out of the hippie generation, Vietnam War, and all these things that were happening to music and all. I mean it was just a very, very rich time. Then from 14, I got into a play called “The Amen Corner” which went to Europe, and ended up working for The Beatles, Manager, Brian Epstein. My parents had to go to high school to get my diploma on graduation because I had to be in Vienna for the opening of the play. I bathed in the River Jordan on my 18th birthday in Israel. It’s just been a phenomenal ride and then to culminate as of 2013, with a Christmas themed story for television. It’s wonderful, feels wonderful and right where I’m supposed to be and I so pleased to get an opportunity to share the gifts that I got, and to put those into motion and something that resembles a spiritual story for the people and to give hope to people because you don’t always get to choose. 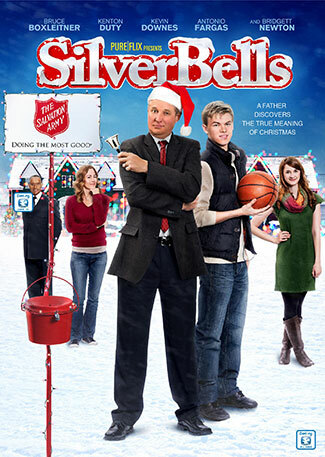 Bruce Boxleitner stars in Silver Bells , premiering on UP TV tomorrow, Sunday, December 1st at 7pm, 9pm and 11pm ET. It is the story of a Type A, very competitive dad who wants everything his family does to be the best, including Christmas. He talked to me about his own family’s Christmas celebrations and making the movie in a small and very cold town in Michigan. Are you at all like your character? Are you kind of a pushy guy when it comes to holiday celebrations? I was more so in the past when my kids were younger. I always felt the enthusiasm to make the most out of Christmas for my kids and decorating and all that comes with that. You want to keep that alive with them as long as possible. They’re all grown up young men now so they realize there’s something fishy about Santa Claus, but we would all love children all their lives to believe in Santa Claus. What kind of holiday celebrations did you have growing up? Well, my mom was very just sort of classic, with the anticipation when you set up the tree the week before and then you wait for that much anticipated evening. We had Christmas carols playing all the time on the little hi-fi. That’s how old I am, all the Andy Williams, Frank Sinatra, all those kinds of classics. And of course there was baking going on. I have my mother and three sisters so they always have their Christmas cookies and pies and stuff. And then on Christmas day, when you’re up before the sun and got everybody up, you just couldn’t wait. I don’t think that ever changes whatever generation. We had opening of presents and celebration all day and then we went up in my grandmother’s farm for a big Christmas dinner with everybody. Are there any special holiday movies that you try to watch every year? I love Christmas movies. That’s why what attracted me to “Silver Bells,” the way it had a similar theme to “It’s A Wonderful Life” with Jimmy Stewart. I think that’s everybody’s favorite. It’s always been my favorite. I’m still at tears at the end. They’re not the same, but this one also has redemption in the end, redeeming himself in the eyes of his son, and his wife, and daughter, and ultimately his community after he humiliated himself. And the Anthony Vargas character was sort of his angel. Tell me about making this film, working with the other actors. You instantly form these relationships. Long winter days after in Manatee, Michigan, that’s the town, and was perfect. It looks like it’s right from the 30’s or 40’s. I blessed with actors who had a lot of chemistry and were all professional and know what’s required. I have grown sons, my boys so it wasn’t hard to play the father of a teenage boy. It wasn’t hard to look at Kenton as my own son. I think you just sit around and in between sets and stuff and we all have the same cold. And this was a low budget film so there weren’t a lot of frills involved. We all huddled together under the service tent in the cold in our parkas. So when you have those kind of adversities, when there’s something like that, where none of us were from there, we all had that bonding right there. 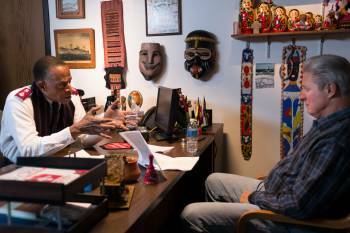 I love working with everybody and the kids are my family but I especially got along with Antonio Fargas. We just got on because we like old rock music, blues music, and Dylan, and Elvis, and all those things so that bonding was right away. He and I would sing, try to stump each other and sing songs on the way to location. And we all would go to the hotel at night and have dinner. Yeah, we did. Those are the things that we do that bonds us together to see that chemistry in the film. When families watch this movie together, what do you want them to talk about afterwards? How you’ve got to take the time to enjoy the people in your family, that precious, precious time before everybody split up and go to their way in life. And I think that my character appreciated that he didn’t get the credit, someone else did, and the satisfaction that comes with that. 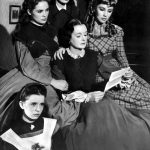 Previous PostPrevious List: Sister Movies! As the oldest of three girls, I have a soft spot for movies about sisters, and this week’s release of Frozen made me think of some of my favorites. If you haven’t seen these, give them a try. If you have, time to watch them again! 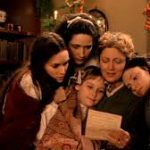 Little Women Louisa May Alcott’s classic story inspired by her own sisters has been filmed three times and all are great. Katharine Hepburn, June Allyson, and Winona Ryder have all played Jo, the tomboyish would-be writer. Pride & Prejudice Jane Austen was very close to her sister and wrote wonderful stories about loving and devoted sisters. While the three youngest Bennet daughters are foolish and selfish, Elizabeth and her older sister Jane are everything sisters should be. (Same with Marianne and Elinor in Austen’s Sense & Sensibility ). White Christmas How could Bing Crosby and Danny Kaye resist the charms of the talented sisters played by Vera-Ellen and Rosemary Clooney? In Her Shoes The movie is uneven, but when Cameron Diaz reads an e.e. cummings poem to Toni Collette to express her love for her sister, I dare you not to cry. Crimes of the Heart Three Oscar-winners, Diane Keaton, Sissy Spacek, and Jessica Lange, play sisters who drive each other crazy and make each other jealous but love and support each other in this gothic melodrama by Beth Henley. I am delighted to be able to give away a copy of the adorable Merry Christmas Splat & More Winter Stories , from my very favorite series for kids, Scholastic Storybook Treasures . Splat the cat is worried that he hasn’t been as good as he’d hoped on Christmas Eve. In Fletcher and the Snowflake Christmas, the little fox and his rabbit friends are worried that Santa won’t be able to reach them. More soft white stuff falls in Snowflake Bentley, in this true story about the pioneering scientist who studied water crystals. And in Owl Moon, and owl and his daughter go exploring together. Send me an email at moviemom@moviemom.com with Snow in the subject line and tell me your favorite winter activity. Don’t forget your address! (US addresses only) I’ll pick a winner at random on December 5. Good luck! Next PostNext List: Sister Movies! For the first time in more than a hundred years, the holidays of Thanksgiving and Hanukkah fall on the same day. It won’t happen again for thousands of years, so carve the turkey and spin the dreidel and enjoy this once-in-a-lifetime overlap of two celebrations known for family gatherings and great food. Previous PostPrevious Happy Thanksgiving 2013!